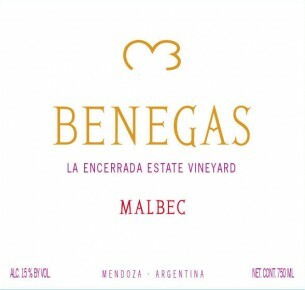 This wine belongs to the winery’s estate line with grapes sourced from estate-owned vineyard called La Encerrada in the Uco Valley (Tupungato). This elegant Malbec displays deep color and great aromatic intensity. Ripe red fruit flavours enhanced by complex notes given by the medium toasted barrels. Full and balanced in the mouth with rounded tannins. Malbec is best enjoyed with rich meat dishes, asado, grilled steaks and hearty stews. Also excellent with beef or cheese filled empanadas. Vinified in cement vats and aged in medium-toasted French oak barrels for 12 months.